NCSG Director Gerrit Knaap and Associate Director Nick Finio traveled to Maynooth, Ireland in April 2019 to forge a new research relationship with the International Center for Local and Regional Development. During their trip, Knaap and Finio accompanied ICLRD Director Caroline Creamer to the cities of Derry and Letterkenny to discuss cross-border urban planning issues with local academics and policymakers. NCSG will be joining ICLRD on a pilot basis for two years to explore and join in research projects, with potential to become a permanent partner in 2021. ICLRD’s focus on building the capacity of regional and local authorities, development agencies, border networks and community and voluntary organizations to manage spatial planning on the island of Ireland as a whole. This mission neatly align’s with NCSG’s work in Maryland, across the US, and nationally, to use best practices in urban planning to build a more sustainable future. Photo Caption: NCSG Director Gerrit Knaap is pictured with Jenny Pyper, ICLRD Chair and Chief Executive of the Utility Regulator of Northern Ireland. Knaap and Pyper are signing a ceremonial agreement representing NCSG’s commitment to join ICLRD. 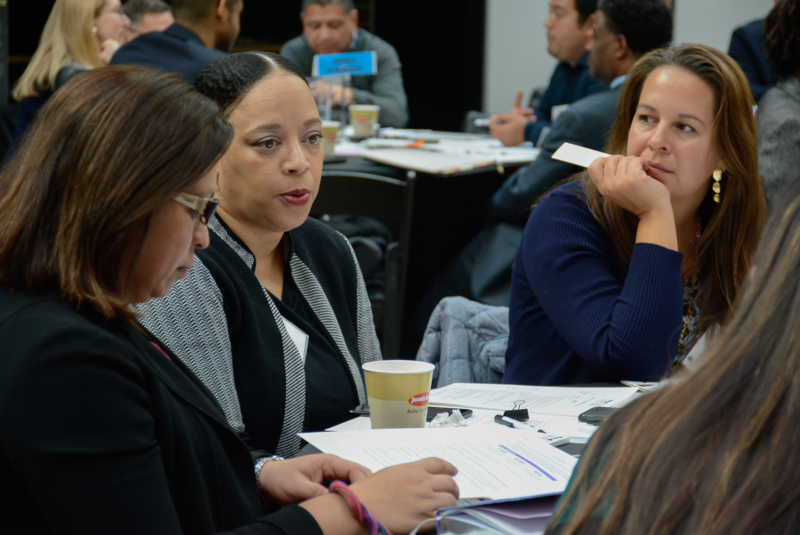 On Friday, March 22, NCSG hosted over 100 policy nonprofit leaders, policy advocates, and political leaders at the 2019 PLCC Stakeholder Workshop. The meeting was held as part of the Purple Line Corridor Coalition’s (PLCC) commitment to engaging and organizing stakeholders in the region. The event included a panel of speakers, as well as break-out sessions to discuss challenges and future plans for the region. The Purple Line Corridor Coalition (PLCC) is a program of the National Center for Smart Growth (NCSG) working to ensure that investments in the MTA’s planned light rail, the Purple Line, will offer the maximum economic, social, and environmental opportunities to the residents and businesses along the corridor. The PLCC is made up of for-profit, nonprofit, political, and community stakeholders across Montgomery County and Prince George’s County. In an article for Greater Greater Washington, authors Brittany Drakeford (a PhD student in the UMD URPD Program) and Ras Tafari Cannady II make the case for equitable planning. 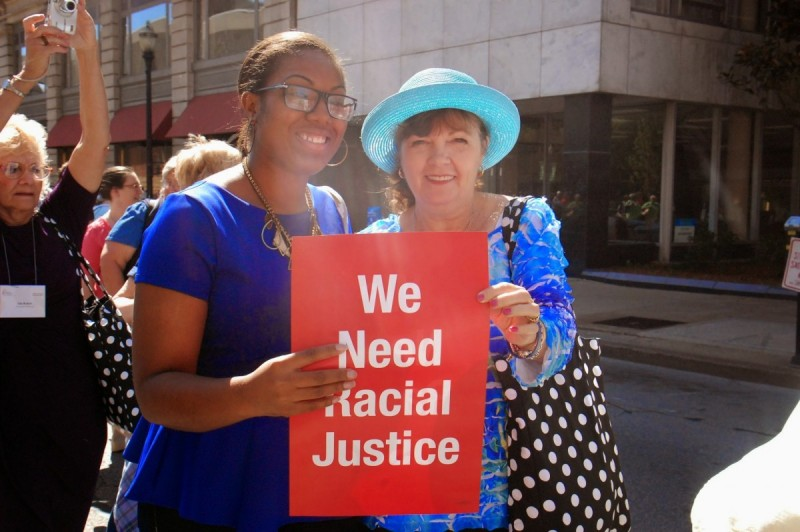 They argue that planners must acknowledge urban planning’s racially segregated history and seek to correct the pollution and health burden that past decisions have placed upon Black and Latino citizens. If planners don’t address this context, they are bound to reinforce the effects of discriminatory land-use practices and perpetuate inequitable health outcomes in the very communities they are charged with serving. The authors cite best practices from across the US. Among these best practices is the Maryland Environmental Screen Tool (MD EJSCREEN Tool), developed at the University of Maryland by the Community Engagement, Environmental Justice, and Health Laboratory (CEEJH Lab) and the National Center for Smart Growth (NCSG). Brittany Drakeford is a PhD student in the University of Maryland’s Urban and Regional Planning and Design program. She is also a planner with the Maryland-National Park and Planning Commission (Prince George’s) and a 2017 Robert Wood Johnson Culture of Health Leader. Ras Tafari Cannady II is an experienced Senior Urban Planner with the Prince George’s County Planning Department (M-NCPPC), focusing on Urban Design and Zoning. Read the article at Greater Greater Washington.